Close colleagues of mine will tell you I have honed a particular obsession/crackpot theory over the past few years: that Airbnb has been gently A/B testing me in real life. Let me explain. I travel more than most humans should. As someone who runs their own company, and sometimes needs to spend more time in a location than is affordable via traditional hotel lodgings (such as with a recent relocation over the summer), I have made use of that darling of the sharing economy/scourge of communities (depending on which lens you look at it through), Airbnb, to stretch my budget, spend time closer to work, friends, clients, or just have company when traveling. I’ve stayed in over 30 properties, in something like eight countries, so I’ve had a lot of time to contemplate the company’s strategies from the inside. The semi-serious theory started during back-to-back stays in the UK several years ago. My first three night stay was in a London borough, in a fairly cozy house owned by a couple with a toddler. It was comfortable enough, though a bit chilly in both bedroom and shared bath. The interior design wasn’t miles off my tastes, but it didn’t push any buttons of joy either, mostly catalog-standard late 20th century British home store. I never even sat down on the ground floor. The bits of media I saw around the house were mildly interesting, if predictable, but not must-reads or binge-viewable. I wasn’t really allowed in the kitchen, which was reserved for use by the family only. The wife of the couple has formerly worked in media on a cooking show, the husband in finance. I hardly saw either of them, as they made themselves scarce. After the check-in, I didn’t have much interaction with the hosts until leaving, and they weren’t interested in any to be honest. It was strictly a transactional stay. Their child was probably cute, but fussed far too much to get a close look—it was mostly an unhappy sound coming from the kitchen or bedroom. Fair enough. I stayed three days, I paid, I chatted briefly and left, and left a weakly positive review after. I had no real complaints, but probably wouldn’t look for it again. From London, I moved down to the south coast for work (I’m being vague to protect the hosts mentioned herein). I found the place, also an attached house in a row dating probably from the Edwardian period. The host couple met me in the front hall, ushered me in, sat me down in the lounge to relax, and I was immediately offered a warm, fresh-baked cupcake and a glass of wine as I slid back into a nice leather sofa. As the husband, who worked in the trendy area of “fintech,” asked me about my work—and seemed to understand what I do—my eyes scanned the groaning bookshelves across from me. “Have that, want to read that, ohhh, that’s a good one, must remember to look at that,” I recall thinking. We had so much in common. The wife, just finishing up a new round of baking for one of her side businesses, shouted a welcome and told me to feel free to use the house as my own, listing the tasty goods available for breakfast the next day as she joined our conversation with the couple’s very adorable son, who poked at my shoes engagingly, and seemed to pay close attention to my voice. What followed was an interesting chat about culture, technology and cooking, before I went up to my very warm, comfortable, private room, past the amazing folk art, highly listenable CD collection and private bath with want-able Scandinavian textiles. And then it hit me. The principle actors and scripts of these two Airbnb plays were roughly the same. Same family configurations, professions and ages, same general houses, same price per night within a few pounds, same availability. Except, when contrasting the two, one was so comfortable, personally interesting and engaging, I wanted to stay an extra week, while the other almost hurried me on my way. One I was happy to pay to stay in, one I felt vaguely grudging about in retrospect. One could have been my alternate media collection and wine store, one missed the mark on general user experience for me. I quietly locked the door to my room, logged onto the fast broadband (quite slow and choppy at House #1) and opened my Amazon profile just to see what I’d been looking at lately. As I lay in bed the first night, breathing in the rich cake scent still hanging in the air, I thought about whether Airbnb had somehow tapped into my online searches and purchases. After all, this is the age of convergent Big Data and powerful retail analytics. Without having seen really any of the home contents at either place, or anything useful about the hosts from the Airbnb listings, I’d ended up in two very similar, yet weirdly different, residences. One where even the conversation with the hosts was familiar and relevant, the other where it just didn’t read. Back to back. Easy to compare. Was the child even real, or just part of the test? In a period when both home staging and immersive theatre are hot, why couldn’t it happen, I thought? And with same-day delivery services breaking out all over, couldn’t a set of highly personalized home contents—chosen to be both familiar and aspirational (after all, you want to leave space for potential purchases to help fund this business model)—have been plucked from a regional depot, popped onto shelves and in cabinets, and organized for my arrival? Couldn’t some actors in search of work in London have been briefed up enough from open source material to interact with me for an hour or so? Couldn’t they? Couldn’t they? I’d been on the road for a while, and fatigue was starting to set in. Maybe it was affecting my head. That was two years ago. It had been in the back of my mind since. And then. This past summer, I had a similar experience, only with my whole family while mid-relocation to the Netherlands. Again, similar homes, same family demographics, both away on holiday this time (it’s tough to get small children to follow a script, right? ), one house comfortable enough in a suburban town, the other a charming place in a gentrifying neighborhood worth squatting in hopes the owners didn’t return (jk, Airbnb, jk). Was I optimizing my own stays, or were they feeding me more appropriate properties in hopes of making this testing easier? Hotels have tested such things, why not the hotel-killer itself? They even left the same bread for us as a welcome basket. One white, one whole grain. After all, Airbnb has deployed Aerosolve, its own machine learning platform, to make sense of real-time usage data and help hosts get a better return. 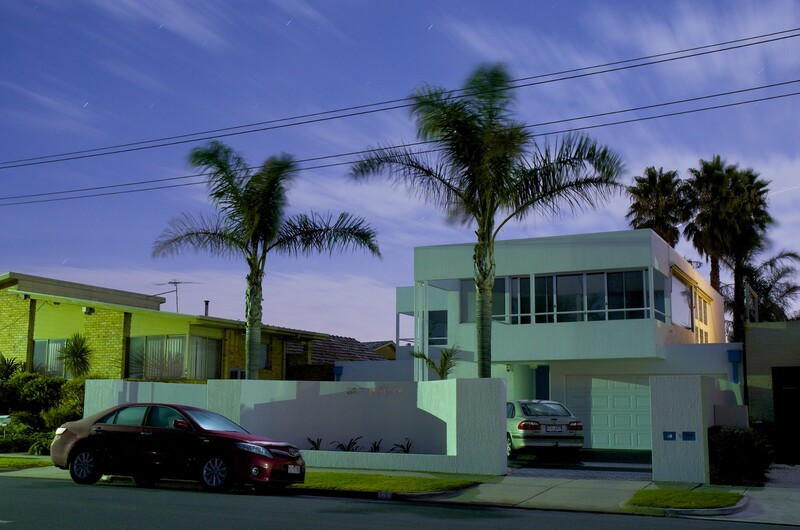 Tuning properties for desirability is feasible—the company is already using automated scanning of house photos to optimize presentation of properties as well. With all of this technology aimed at the properties themselves, why wouldn’t Airbnb also dig into the minds of guests, find out how they respond to different houses, which conveniences they’re drawn to, etc? Nah, that would take sensors inside a house, on top of crack Web and mobile analytics. You’d need to know what people do during their stay. And as I’m sitting there, thinking again about this crazy idea, I see a tweet go by: Airbnb has purchased…an obscure Russian sensor company. I slammed the laptop and checked the cabinets for tin foil. A month or so goes by. I forget about it again. Then I open Medium and see a story about how Airbnb has mocked up parts of its own headquarters based on the apartment design a French couple who use the service to let their own flat. The couple is now suing the company. “They are branding their company with our life,” owner Benjamin Dewé told Buzzfeed. The company has apparently copied a range of style elements from the French couple’s home in its own San Francisco offices. Down to the doodles on the chalkboard. The doodles. As Jamie Lauren Keiles demonstrated in the Medium piece above, it’s pretty easy to break those furnishing and accessories down to a shoppable list, on with goods obtained on Amazon or elsewhere. Like those magazine features that show how to buy knock-offs of celebrity fashion, complete with prices and shops, a family’s flat (admittedly one they rented out via Airbnb, including to Airbnb for a function) has been commodified into a shopping list. Buy that lifestyle right here. Better yet, live in it for a few days. Only, with the convergence of Big Data, analytics (including visual analysis tools which can look for the presence of brands in social media photos), machine learning and accessible APIs of companies like Amazon, and breakneck logistics Uber-style (or even predictive shipping, per the notorious Amazon patent), fabbing up a home interior to suit your tastes (or tastes that are forming, but haven’t fully emerged yet) is within today’s technology. Hell, even that cute Roomba you had to have may be quietly mapping the place you live. This will be available in knock-off home robots soon. Have you checked the user agreements of your various home appliances and systems to see if they can sell the data? Probably not. And why not tap that stock of underused homes, and underemployed people? If there’s one thing the sharing economy overlords have taught us, it’s that the world is just a collection of undermonetized assets waiting to be redistributed, right? Why not productize, commodify and populate that second-to-last frontier, our living spaces? And staying in someone else’s place with someone else’s stuff you fancied from the pictures is tired. Everything else is personalized, financialized and productized. Why even own your own stuff when it could be Ubered into position in a desirable location based on your most recent Pinterest saves? Think about it. With a bundled DreamHome™ service, you can perpetually test drive that new living room suite for long holiday weekends—I mean, why wait until after purchasing for buyer’s remorse to set in? You can get it out of the way, without the financial commitment. Just your desires, played forward all the time. You can even test roommates or neighbors for the weekend. Why stop at furnishings and paint colors? Slap those detailed sentiment analyses and personality analytics gleaned from your prospective co-habitant’s online activities, eye-tracking history, Tinder preferences and 23andMe profile onto a few improv actors and have some Big Data cosplay in a pop-up maisonette. Come Monday morning, you can just walk out the front door, with nothing but a premium fee to pay, a fee which may be itself be subsidized by various sponsors who want to test products on you. Don’t worry, it’s cool. Duralux, Crate & Barrel and LinkedIn picked up the tab for this getaway in the woods or beach with new friends. Sound good? Of course it does. We knew you would like it. Check your email. Your Temporary Instant Disposable Dreamhouse for the Weekend may be waiting.